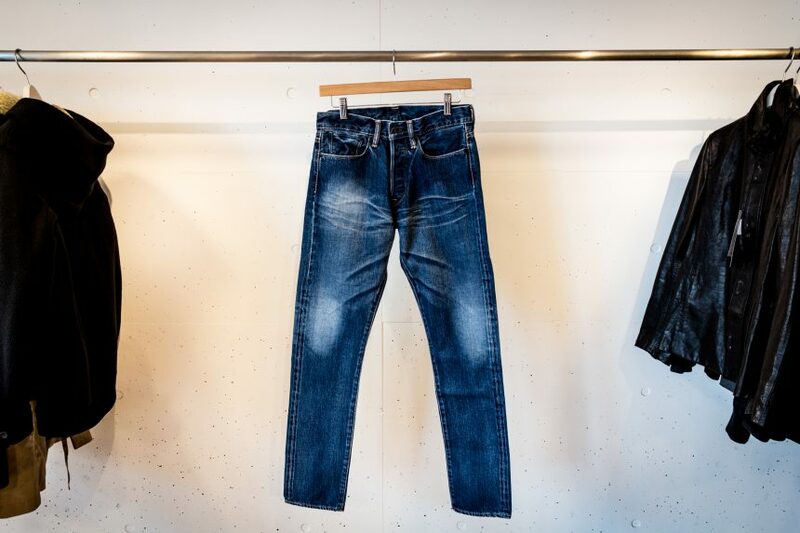 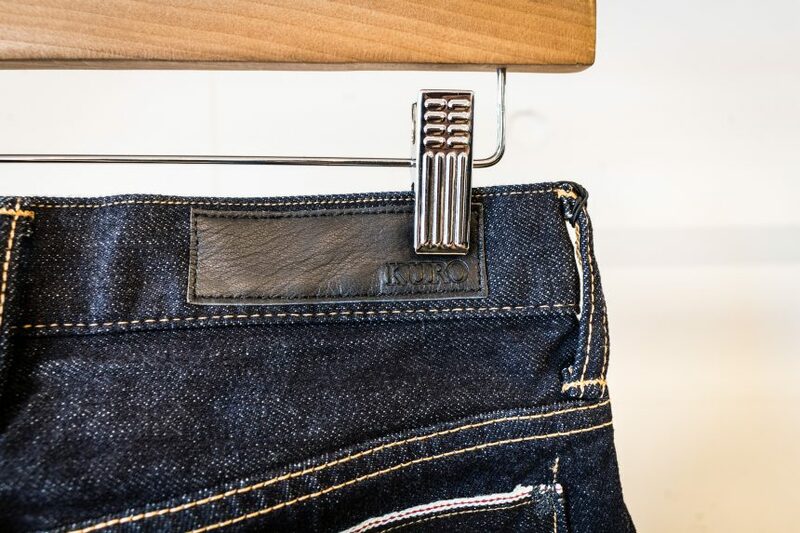 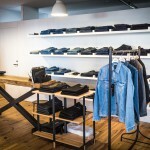 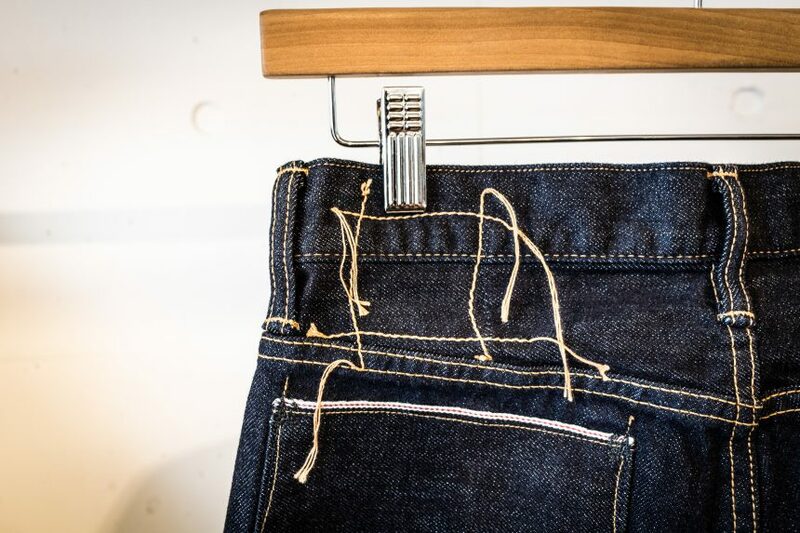 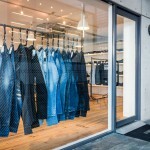 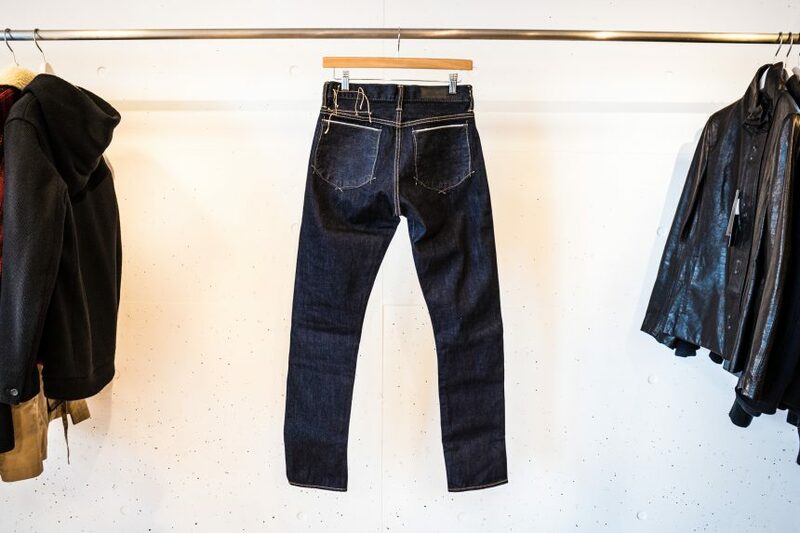 In the jeans scene, Japanese and American denim brands lead the market. 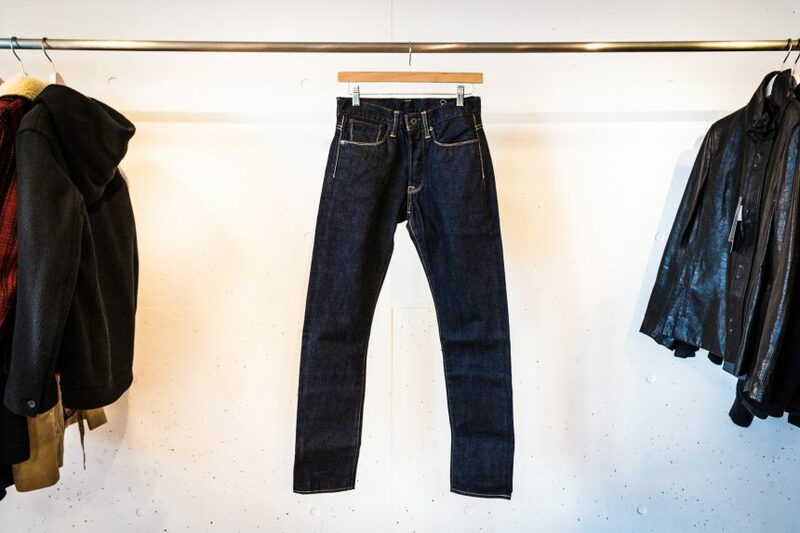 Being one of them, Tokyo-based KURO offers wide variety of fits and sizes for your body shape; Fibro (Skinny), Diamante (Slim Tapered), Graphite (Slim Straight), Aulick (Deep Tapered), and Dempsey (Tapered). 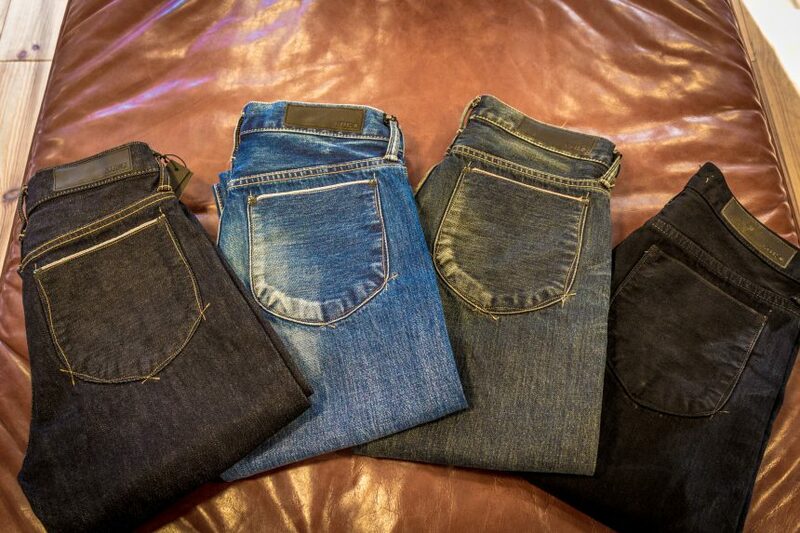 The sizes are available from 28 to 38. 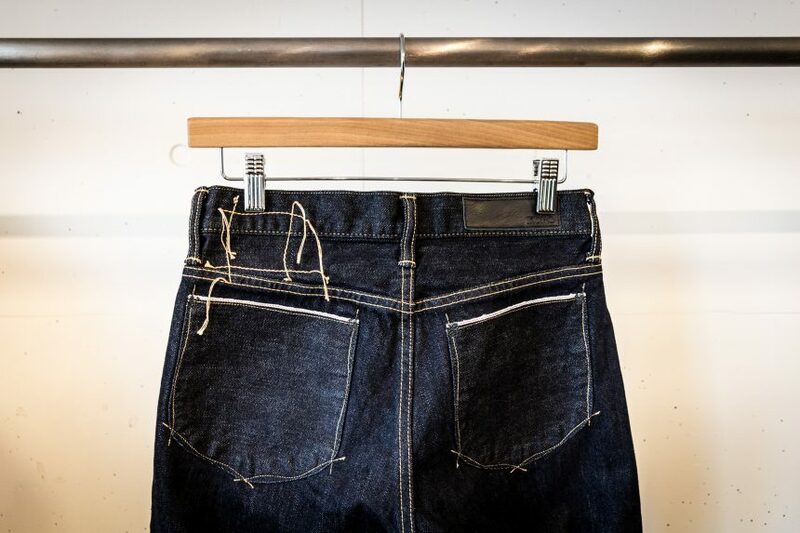 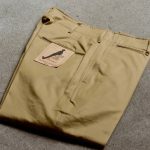 Its iconic back pockets use selvages and distorted design stitches. 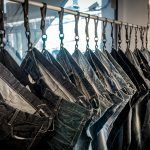 Aulick is popular especially in European countries. 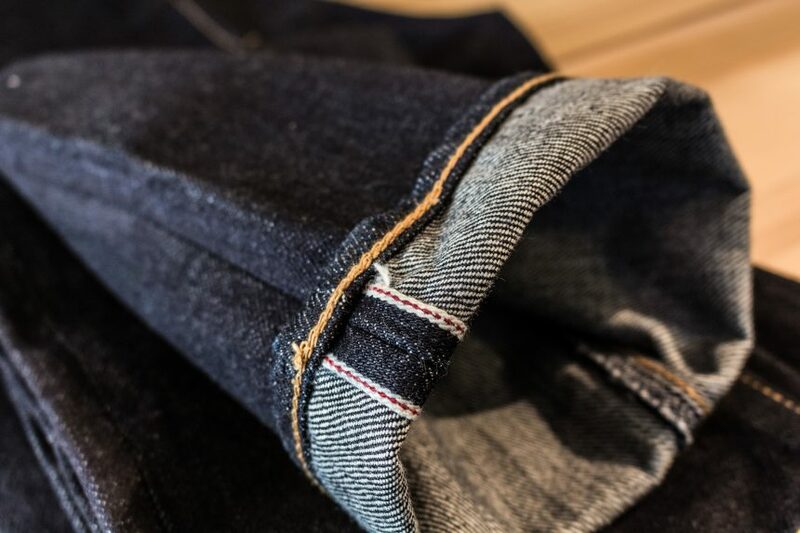 It has a beautiful deep tapered fit that is a bit wider at the top and is made of 13oz selvedge denim. 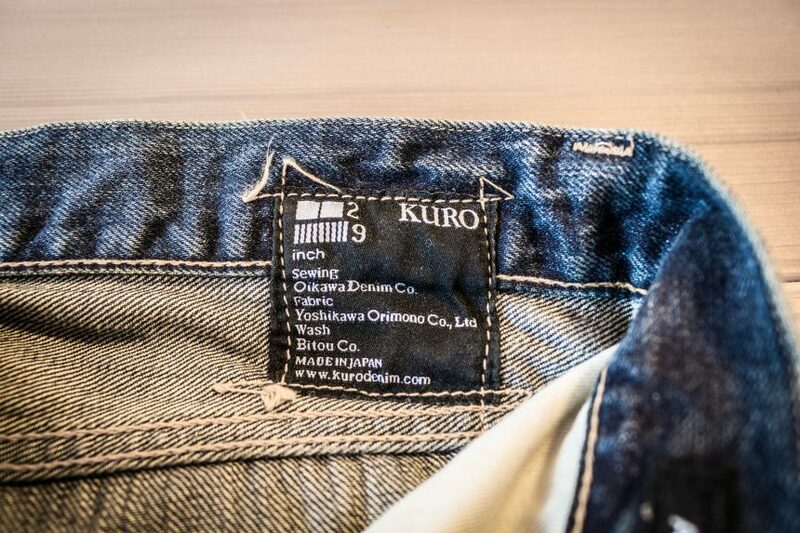 KURO shows the production traceability on the tag based on its philosophy: the denim is from Yoshikawa Orimono in Okayama, sewn by Oikawa Denim in Miyagi, and washed by Bitou in Okayama. 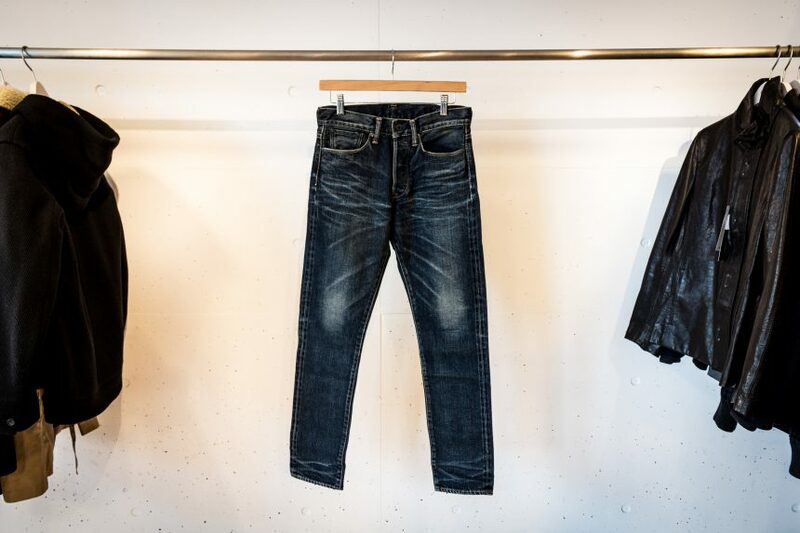 Aulick is available in one-wash indigo, vintage-wash, dark indigo, and Montsuki that is a traditional Japanese black dying method from 1915. 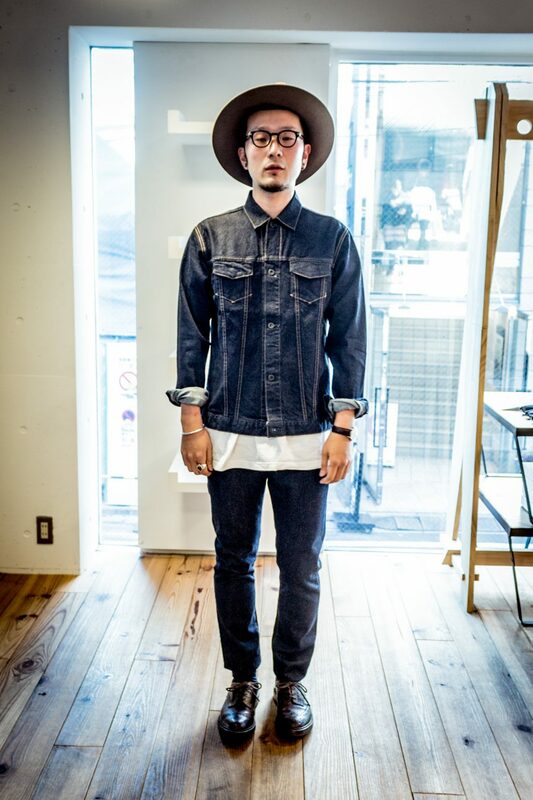 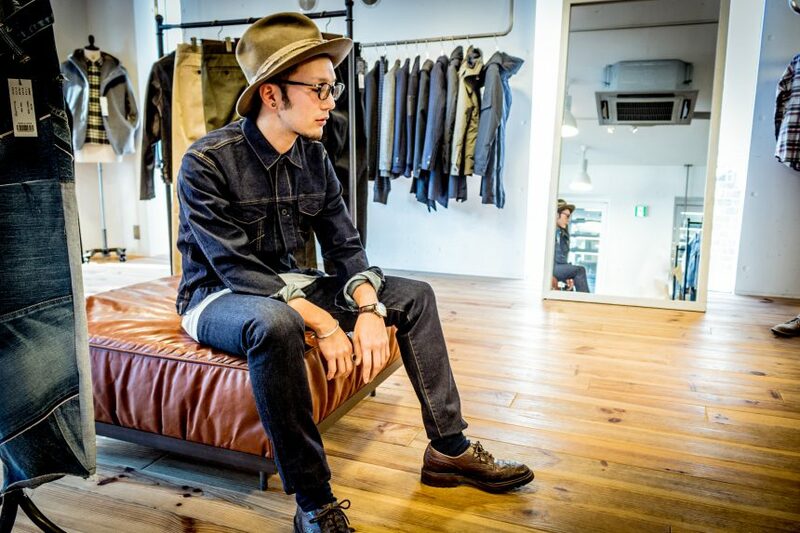 Kitamura from KURO TOKYO got his one-wash Aulick on with a denim jacket also from KURO. 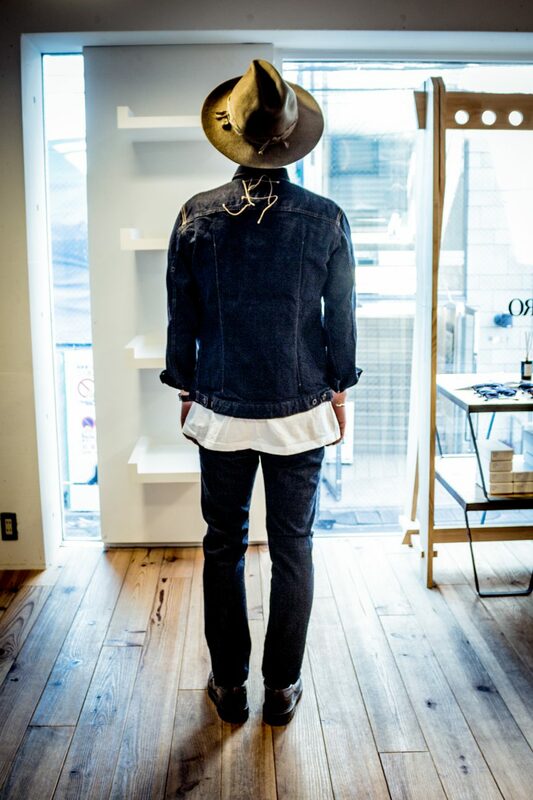 Aulick is available at KURO’s stores or its online shop. 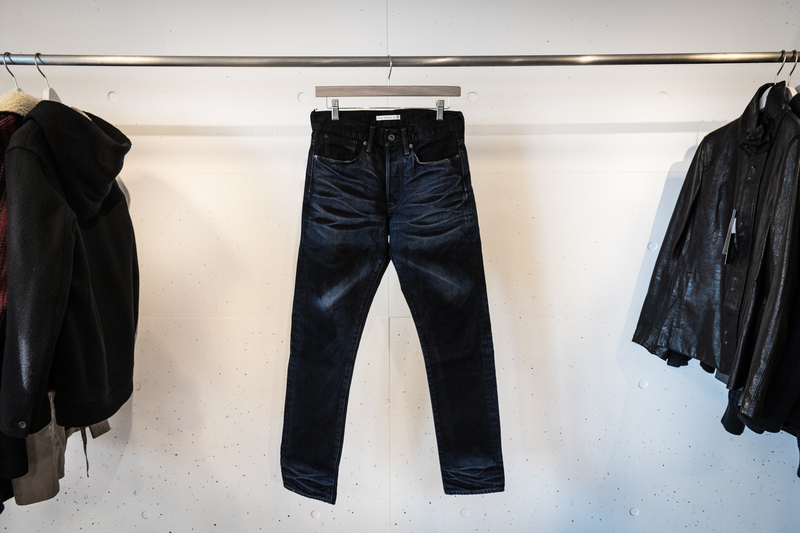 Find more information about KURO on our BRAND DICTIONARY. 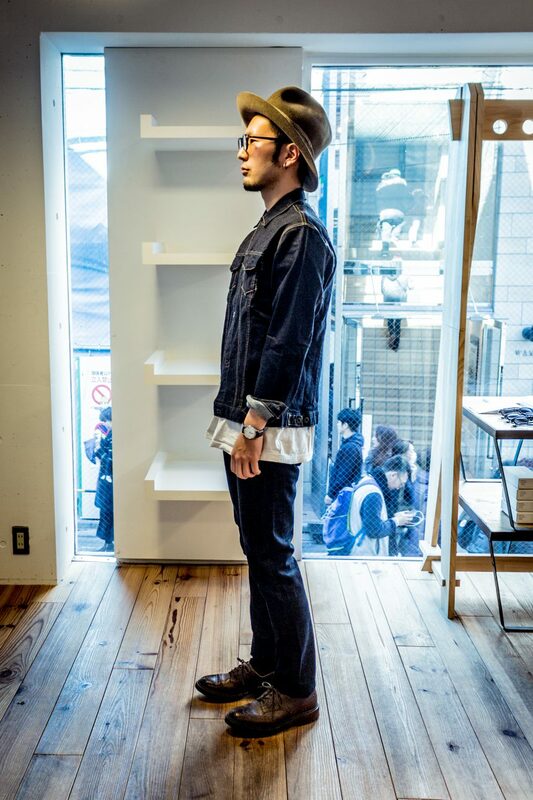 More photos from our Facebook page.